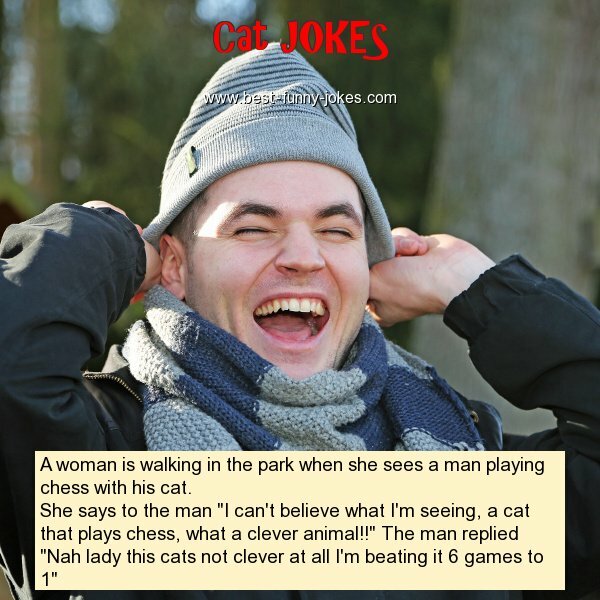 A woman is walking in the park when she sees a man playing chess with his cat. She says to the man "I can't believe what I'm seeing, a cat that plays chess, what a clever animal!!" The man replied "Nah lady this cats not clever at all I'm beating it 6 games to 1"